The upcoming Wednesday semi-final match between India and Pakistan in Mohali for the cricket world cup has the sub-continent in frenzy. There are cricket pundits already discussing strategy and playing eleven that either team should adopt. It is perhaps the mother of all cricket matches and the temperatures have already increased on either side of the border. One would expect both the nation to come closer as result. Pakistan has asked for as many visas to Pakistanis as possible to watch the match. It is expected that 5,000 Pakistan nationals will travel to Mohali for the match. All flights to Mohali are full as are hotlels in Mohali and Chandigarh. One would expect the professorial Indian prime minister to stay away from such hoopla. Wrong, the man has taken the opportunity to invite Pakistan Prime Minister Yusuf Reza Gilani and President Asif Ali Zardari to come to India to watch the match. 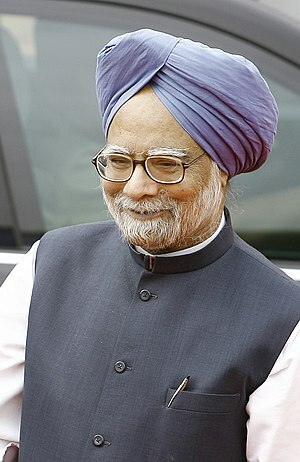 Prime Minister Manmohan Singh has made it clear that he will travel to Mohali to watch the match. This is an attempt by Indian Prime Minister to reach out to his Pakistan counterpart. Expectedly, the political commentators have tried to reject these overtures by the Indian Prime Minister as something that may be a step in the right direction but one that will not lead to any perceptible thawing of relations between the two South Asian neighbors. I do not know why there is such rejection of any initiative by India and why the media always focuses on any ‘fears’ that Pakistan might express from time to time. India has no ill will against Pakistan and intellectuals and policy makers on either side know this fact. Still they keep hankering about Pakistan’s fears and try to keep India on the defensive. The question that begs an answer is – why did Manmohan Singh extend an invite to Gilani and Zardari to come and watch the Mohali match. This is a situation similar to the one during the much criticized Sharm el-Sheikh accord between India and Pakistan. It must be understood that for us Indians the neighborhood is a changed one with western forces stationed in Afghanistan and parts of Pakistan. Most analysts tend to forget that the overwhelming presence in our neighborhood is not that of Pakistan or Afghanistan but the US led coalition forces. Yes, US is in our neighborhood for a reason and will remain till their strategic objectives are met. As friends and allies of the west it comes naturally to us to ensure that US and allied forces get all help from us to achieve their strategic objectives. It is also true that there is much in common between our strategic objectives and those of the west. The cornerstone of these shared objectives is to fight terrorism and radicalism that prevails in the Af-Pak region. The Sharm el-Sheikh initiative was a step in this direction and the Mohali cricket diplomacy is an encore of the same strategic initiative. I need not remind the readers what happened post Sharm el-Sheikh in Pakistan. From the western point of view they can resume their military forays in Southern Afghanistan post Raymond Davies fiasco. Their man is back home and they have bought his freedom with a few million dollars and a few green cards to the families of the ‘victims’. They have resumed the drone attacks in the tribal areas and they are keen to push further down into southern Afghanistan. One may ask as to what this has to do with Manmohan Singh’s cricket diplomacy. The problem Americans are facing is that when they push from Afghanistan the Taliban tend to take refuge in the tribal areas of Pakistan. The border between Pakistan and Afghanistan is porous and it is very easy for these radicals to withdraw to the safe havens of the Federally Administered Tribal Agencies (FATA). Till such time that Pakistan unleashes a military operation against these radicals it is very difficult for Americans to win this war. In that the military help and support of Pakistan is crucially important to Washington DC. That is why the voices emanating from DC still call Pakistan a strategic ally and partner in the war against terror. That is the reason why Americans have poured in military aid to Pakistan including some 18 spanking new F-16 fighter jets. To the credit of the Pakistanis they have used these jets against the Taliban a couple of times. However Pakistan is loathe to act in any perceptible and tangible way against the Taliban as they see this radical outfit as a strategic asset to be used once the Americans are out of the region. The one excuse that they have put forward so as not to act against Taliban is that they are in constant state of alert against a ‘belligerent’ India and therefore their focus is on their eastern border. India has been saying time and time again that we do not have any animosity against Pakistan but that does not seem to matter at all. The Sharm el-Sheikh was an attempt and a very successful one by Manmohan Singh administration to normalize relations between India and Pakistan and not to let them give this excuse of heightened state of alert on the eastern border so as not to act against the Taliban on the western front. Soon after the Sharm el-Sheikh accord the Pakistan army’s hand was forced and they had to act against the Taliban in Swat and Mingora was left a ghost town. However it is also true that Taliban were moving close to Islamabad and they had to be countered. Mingora and Bannu were the cities where Pakistan army took decisive action against the Taliban. It is strategically important from the western and the Indian point of view that the radical Taliban are marginalized. It is also true that neither India nor the west wants to enter Pakistan to clean the state of the abominable Taliban. Pakistan army has created the Taliban (with help from the west, ironically) and they are the ones best equipped to clean up the mess. They need to take military initiative against the Taliban. By normalizing relations between India and Pakistan, Manmohan Singh administration is in fact encouraging the Pakistan leadership to take some decisive steps against these radicals. Americans are also keen that India goes that extra mile to assure Pakistan that New Delhi has no evil intentions against Pakistan. It is not that Islamabad does not know about this, it is just that for them it is strategically suicidal to take any such steps. By inviting Gilani and Zardari, the Sardar from Gah in Jhelum has put the ball firmly in Pakistan’s court. For Pakistan leadership it is a situation where they have been cornered. For Sardar Manmohan Singh it is immaterial as to who wins the cricket match, strategically Pakistan is in a no win situation. If Gilani/Zardari decide to travel to India, Manmohan Singh will invite them for an after match dinner where there will be some small talk. They will come out and say how good it has been to be in India and all those niceties. The temperatures will be seen to have come down a few notches. Uncle Sam will turn the screws on Islamabad more decisively than ever. Another Swat like military initiative will follow. India will be at peace and the Sardar from Gah in Jhelum will go to bed safe in the knowledge that it was a job well done – that his people are safe and that Ma Bharati can work towards the more pressing issues of fighting poverty, a double digit growth and a better life for his people.